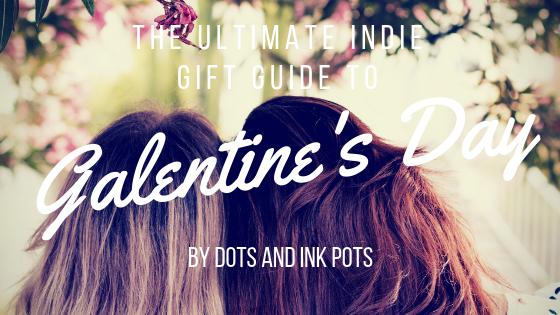 The Ultimate Indie Gift Guide to Valentine's Day 2019. Thank you for the love on the Galentine’s Day gift guide post! You all seemed to love it, so much so that I decided to do the same for Valentine’s Day! Yay! This is your one stop shop for all things lovey, there will be a range of gifts for your loved ones, whoever you love. After all, love is love. What could be more special than a print of the night sky from a specific place and time of your choice? These lovely prints are based on data from Nasa in order to ensure accuracy of the sky. Completely customisable and gorgeously presented. This will be a hit, I’m sure of it. How beautiful is this?! A stunningly printed copper presentation box contains ten little glass tubes, featuring ten date ideas printed onto metallic paper. I just think these are a beautiful way of spicing up date nights and trying out new things. Once you’ve used up the ten ideas that come in the box, you can always reuse the glass tubes and put your own ideas in to keep the date nights going! This one is perfect for all the couples out there that aren’t about that lovey dovey life. Funny, crude and straight to the point, this 350gsm A6 card is a wonderfully different addition to Valentine’s Day. They also do so many other great cards, I highly recommend you check them out, if rude cards are your thing! I’ve grouped these altogether because when I discovered this Etsy shop, I just couldn’t pick one pair of socks as they’re all fab. You or your partner are bound to like one of these pairs of socks and I just think they would look ace paraded around town. Mixtapes have to be the most iconic romantic gift of all time, right? This gift will replicate the nostalgic vibes whilst bringing it up a few decades. The label can also be personalised with your own message and design as well so you can really add that extra touch. A pillow cover adorned with a printed map of the world and any two countries can be joined together with printed red stitches. No pillow is included but the beautiful design more than makes up for that. This is perfect if you’re in a long distance relationship or you and your partner are separated for work or something. Sweet and simple with a cute illustration, this mug is perfect for giving to your loved one to use at work or it can be their new favourite morning tea mug. Finally, you have to wrap these presents, so how about this lovely hand screen-printed wrapping paper? All paper is FSC certified and with a smooth silky finish too!. I hope this list has helped stir up some indie business Valentine’s inspo for you and you can get unique with your gifts! Have a great day! Whilst the 13th of February marks Pancake Day, it also marks Galentine’s Day! Galentine’s Day is a day for celebrating the wonderful pals you have in your life who identify as women. It’s about celebrating what you do for each other and the love that you share. So in honour of all of that loveliness, I’ve compiled a list of cute and sassy cards and gifts from indie businesses that you can give to your pals, should you wish to! How sweet is this card by Liz? I’m getting major My Little Pony vibes from this card design. This design is taken from her original hand drawn lettering, which just makes this even more beautiful. Well this is the second card from Liz on the list because as you might be able to tell, I love her work! This super gorgeous pastel and dark pink sweetheart design is perfect for sending to your best gals. How cute are these zombie style laser cut wooden keyring designs? The little fingers can interlock so that you and your gal pal can make pinkie promises on the go! They are super sweet and unique and I love that they started life as original hand drawn illustrations. Calling all of your crude friends! This statement design by BeckyBygone is perfect for any of your gal pals that aren’t afraid of breaking taboos. Bright, bold and proudly feminist, this card is perfect for Galentines’s Day. These gorgeous pins are hand made and hand painted from polymer clay, so they are able to be customisable. There are three colours to choose from and you can choose the style of the design painted on the front. I just think these are super cute and would be perfect to send out to each of your pals. I don’t know about you, but Parks and Recreation pretty much started Galentine’s Day for me. I absolutely love Leslie Knope and everything she’s about so the fact that these three phrases from the show have been immortalised in cute love heart form. As far as enamel pins go, this one is giving me major 90s, cutesy vibes. Perfect for giving to your best gal. How beautifully illustrated are these feminist postcards?! “Never underestimate the power of a girl gang”, now that is a power phrase that is perfect for sharing with the best ladies in your life. You get 4 in a pack too so you won’t have to miss anyone out! Cute illustrations and puns are my dream combo! 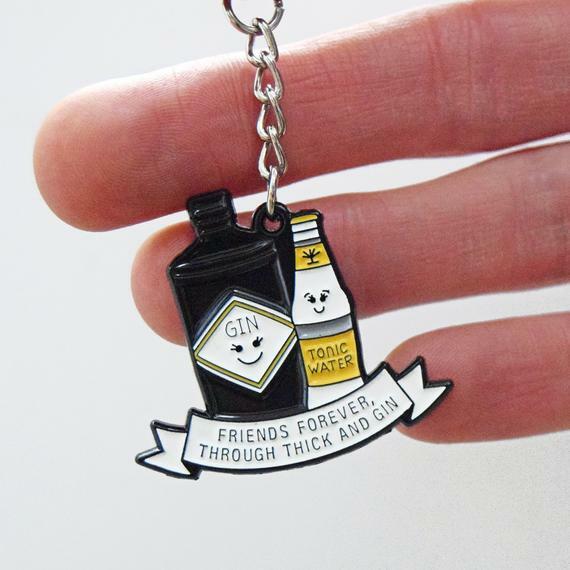 So this adorable keyring is perfect for gifting to your closest, gin loving pal. Share the friend love! You could even get one for yourself and one for your pal so you can match. How sweet! How sweet is this gorgeous illustration? This is the perfect gift to show your love for your long distance pal! Holding hands all across the world. What is a cuter message to share than that? I don’t know about you but the Spice Girls were ultimate gal pal goals. What better way to show your appreciation of your best pal than by gifting this incredible girl power mug! Now that you’re full to the brim with Galentine’s day gift inspo, I think my job is complete! How amazing were those ideas? And all from indie businesses that are going to be doing happy dances left, right and centre when they get an order. I hope this inspires you to shop small and independent this year! Do you love the gifts I chose? Which one is your favourite? Let me know in the comments! How to beat "Blue Monday"
We are well in the midst of January and the 21st is the so-called “Blue Monday.” I don’t particularly like the fact that we have a designated day where we’re told we should probably feel like crap just because someone’s decided it . I personally think that the whole thing is a bit of a placebo effect. If you’re told you’re probably going to feel crap today, there’s probably a chance that you’ll be more susceptible to feeling that way. So in order to try and avoid feeling blue, I’ve compiled a list of ways to try and make sure you avoid the “Blue Monday” plague. Normally, on days like this other people will probably bring up the fact that it’s Blue Monday a few times and use it as a reason as to why things are not going well or why they feel so down. Other people’s attitudes always affect the way the people around them feel so in order to counteract that, why not try and compliment as many people as you can. It will make them feel better and it’s guaranteed to make you happy too. Unless you’re a Scrooge. Personally, i’m trying to spend more time filling in a gratitude journal so I can practice being more appreciative of what I have. Perhaps on Blue Monday spend ten minutes or so, first thing in the morning, writing down everything that you are grateful for. It will help to put you in a positive mindset for the day by allowing you to focus on the things that make you happiest and that you are grateful for. I don’t know about you but I love a good sleep. At least 8 hours, lovely. A great sleep can do wonders for the mind, body and soul, so it’s no wonder that they recommend sleeping on a tough decision or stressful situation as a remedy. You can feel like a new person after a good sleep, but you can also feel worse. Making sure you get a sufficient amount of deep, restful sleep on Sunday night would make the world of difference to what mood you’re in when you wake up on the Monday. Getting out on the right side of the bed on Blue Monday would make a great deal of difference to your mood. Another reason why people might find their mood low in the winter months would be because of the lack of light. Again, this doesn’t just apply to Blue Monday but all the dark months, getting out and getting some amount of sunlight could make a big difference. If you’re able to combine that with some time in nature or going on a nice walk, your mood could be lifted quite considerably. Music is my best mood lifter. Nothing beats putting on your favourite songs or finding a happy playlist, playing it loudly and singing along to your heart’s content. You’re instantly transported back to any memories you have associated with those songs and can be taken away from your current place and into the realm of the song. Try and listen to a few songs that you love and even have a little dance break from whatever you’re doing. It works wonders. This kind of follows on from the music point, if you can find time in your day, spend it doing something you love. It could be something you don’t normally have time for in your schedule, something you’ve not done for years or just something that springs to mind. Just make time for something that makes you truly happy and don’t worry about whether or not the result is good if you’re doing art or whether or not they’re the prettiest looking cupcakes, just make sure you have fun and it makes you happy. It’s just another day, nothing about it is different to any other day. Yes, Christmas and New Years is over and we may have lighter wallets now but nothing about the third Monday in January is any different to the third Tuesday or second Wednesday. They are just days. Days are what we make them. If we wake up and decide that today is going to be a bad day, then it’s probably going to be a bad day. The Law of Attraction dictates that whatever you feel and put out into the world is what you are going to get back. Just because some holiday company said that this is the most depressing day of the year, doesn’t mean they are right. But they are if you let them. 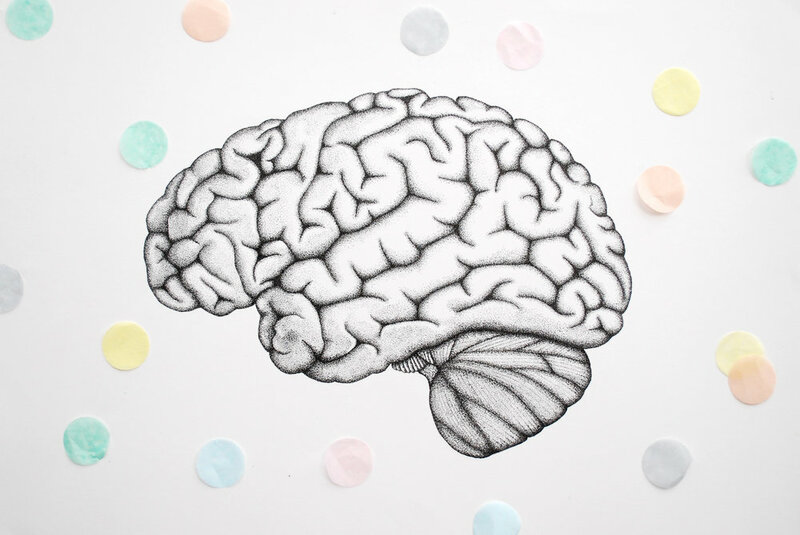 So, I hope these tips may have given you some inspiration on ways to perk up your mood but ultimately I wanted to stick two fingers up at Blue Monday. Blue Monday, you can’t tell us what to do. It’s almost the end of the year! I hope you are all having a wonderful festive period, maybe some of you are back at work or maybe you’re off until after New Year. Either way, I hope you’ve all had some chance to sit back and relax with loved ones and indulge in a few Bailey’s! Now is the time of year where we naturally start to feel reflective and want to look back at the year and see our highs and lows. So that’s exactly what I’m going to do today. I always like to sit and reflect on what’s been good and not so good in the year before the new year arrives so that I feel prepared and ready to go into 2019 with a clean slate and clear mind. It provides a great opportunity to assess why things happened, what you can do more of and what you can change in order to make the new year better for yourself. Not necessarily making resolutions or any drastic life overhauls (unless that’s your thing, in which case, go for it) but more so little changes that hindsight allows you to make. So, in no particular order, here is my look back at 2018! This seems like such a long time ago that I didn’t even think it happened this year! I launched a range of Valentine’s cards and then they were so successful that I decided to launch another selection covering various Mother’s, Father’s day, birthdays and thank yous. The cards were a real turning point for me in regards to my business. They made more sales than my prints put together at the time and it helped to confirm to me that there was potential for a future with this business and I needed to make life/career choices to maximise that potential. This was a pretty big one too! I took on my first ever paid commission, which then lead to the happy customer deciding to recommission straight away. I love drawing animals/pets and I’ve drawn a couple in the past just as gifts, but actually having someone pay me to draw their pets is such a nice feeling. I love getting intricate in the details and trying to make the dots look like fur. Like most creatives and freelancers, I always struggle with pricing. I think it’s such a hard thing for us all, not wanting to overcharge or undercharge but still wanting to put value on your work and not scare customers off. Having two paid commissions this year was a great opportunity for me to work out my pricing and reaffirm that people would be willing to spend money for my art and that this isn’t just a pipe dream. This year was my 1 year Vegan anniversary and it’ll be 2 years in April, which was a big milestone for me personally. Up until this point, I hadn’t really thought about how much Veganism had impacted my life and it hadn’t even crossed my mind to take it to my business. However, writing this now, it was this anniversary that kickstarted hours and hours of planning about how to take my business in a more Vegan and environmentally sustainable direction. I have plans of new products and designs I would love to create in 2019 in order to spread the Vegan message and further establish myself as a vegan brand. Watch out for that next year! Again, it seems hard to believe really but I’ve not been in the small business game for very long. I celebrated my 1 year business anniversary in August this year, which is crazy. It’s hard to remember a time when Dots and Ink Pots wasn’t in my life. The first year is always the hardest and most daunting but also equally exciting. Daunting because everything is new and my gosh is it a steep learning curve! But exciting because everything is new and you absorb so much information, everything is a new opportunity and experience and it’s great to just soak it all in. As a business owner, especially a relatively new one, I am looking forward to my second year of business to reflect on how the first year went and learn from my experiences. This was one of the “career/life choices” I made this year. I made the decision to leave my full time job in order to pursue a career centralising around my business. This was such a defining moment of 2018, as making such a massive career change was something I only ever dreamed about. Plus leaving a job that was so secure in order to start from the “bottom” again so to speak is quite daunting. But I am so glad that I finally, after debating a creative career for so long, took the leap to quit my job. Stemming on from leaving my job the month before, in September I started my first uni degree! In order to help further my business and be able to forge a career in the marketing side of business, I decided to start studying Digital Marketing. It was a big leap to go back to education after working full time for so long but I think it was the right decision. It’s taking a bit of getting used to and next year will require a bit more pre-planning in order to keep the business and content going all year round but I’m excited to see where it takes me. I’m already learning key things that I want to implement into my business plan and strategy, so I think I made the right decision. I managed to complete 17 out of 31 days of Inktober this year and even though I didn’t completely finish it, this year was the most I’ve ever done. I think deciding to do Inktober a month into starting university was probably a bad decision as I wasn’t prepare for how much work there would be, but I’m glad I gave it a go. Preparing was a key factor in how I was able to complete so many in advance so next year I’m definitely going to use my summer break to get a head start on them, so that all I have to do is post them to socials! Perhaps one of the most exciting things that has happened this year was the release of my first range of Christmas cards! Not only Christmas cards but they had festive doggos on them too. I’d wanted to design some pointillism dogs for a long time but hadn’t got round to finding the perfect product, until these bad boys came along! They’ve been received so much better than I could have hoped for and that’s without that much promo. I’ll give you a heads up, the doggos will be expanding next year, onto more festive things and they want to bring their feline pals too. You heard it here first! Overall, I think this year has been fantastic for my business and I am grateful for the opportunities that have come my way this year, allowing me to grow in confidence and make more strides towards the creative career I want. University is full on though, so 2019 is going to be about planning and preparing as much as I can so that I have things and content ready to go. So this Christmas break, I’m writing as many blog posts as I can for next year. Got to be prepared! I hope you’ve enjoyed this look back at 2018 with me and I hope you are able to find time to reflect on your year so that 2019 will be the best yours can be. Have a great New Years, eat, drink and be merry! See you in 2019! Hey! I hope you’ve all had a wonderful festive break. It’s January in a few days, can you believe it?! January not only marks the start of an exciting new year but it is also Veganuary. Just incase you don’t know, Veganuary is a challenge where people try going Vegan for the whole month of January. 168,542 people signed up to take part in Veganuary in 2018 and as of this post one person is signing up every 8 seconds for 2019. With Veganism hitting the mainstream this year and 2019 being proclaimed as the year of the Vegan, there has never been a better time to consider researching it and giving it a go! Going Vegan has a wide number of benefits. It is the most effective way to help our planet, with animal agriculture being the leading cause of climate change, not funding the dairy, egg or meat industry is the biggest way you can help save the planet. 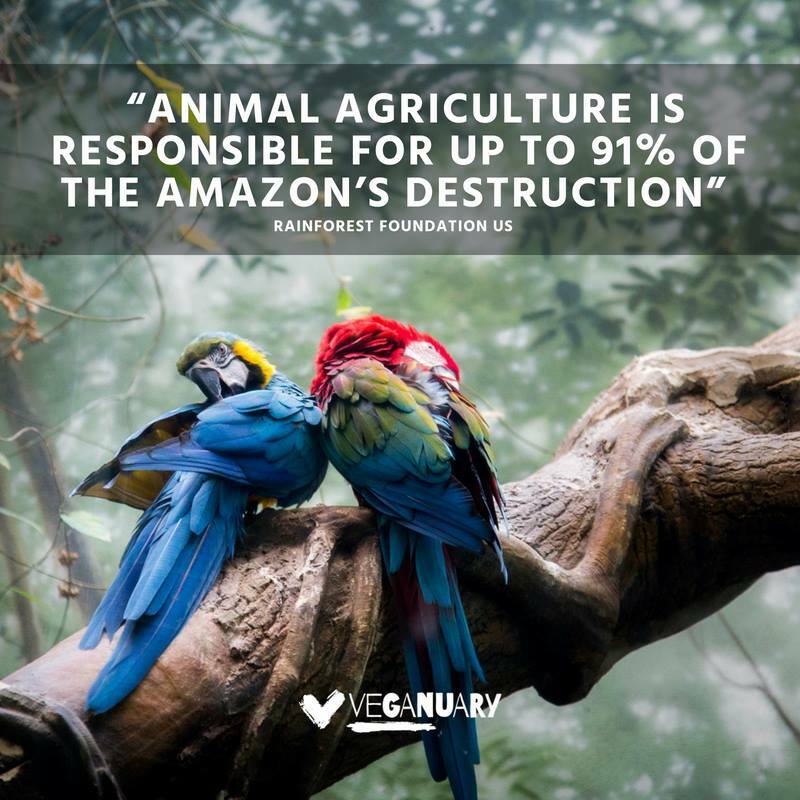 This is because eating a plant-based diet can cut our greenhouse gas emissions, reduce pollution and water usage, prevent deforestation and save wild animals from extinction . Going Vegan can greatly improve your health. Cholesterol is the leading contributor of heart disease. With cholesterol only being found in animal products, going vegan means you considerably lower your risk of heart disease alongside other health benefits. Plus Vegan food is increasingly tasty with new alternatives being brought out all the time. The only way to fund new innovations in Vegan food is to create demand. Going Vegan helps reduce animal suffering. Animals are sentient beings who have the capacity to feel happiness and pain and eating meat, dairy and eggs causes them to suffer and be killed just to be eaten. No life should be valued less than your taste buds. For a cow to produce milk, they must be pregnant. Unfortunately, the most efficient way to do this is to artificially inseminate them. Then when their baby is born, for humans to drink the milk, farmers take the calf away from the mother. If the calf is female, it is raised to produce milk again and if it is male, the calf is either killed as it’s too expensive to raise or kept in small cages to produce veal. If this was something that happened to humans, society would not stand for it. So why should it be any different because it happens to an animal? Eating meat, dairy and eggs is a completely unnecessary action, when we can survive and thrive on a plant-based diet. Why do we decide to love cats and dogs yet pay for innocent animals to be killed because that’s “the way it’s always been”? You can’t love one, yet pay for the other to be mistreated and killed. We in the West have such anger when we see people in Asian countries kill dogs for meat, yet continue to eat cows and pigs without making the connection. Every animal deserves the right to live and there’s no way to humanely kill an animal that does not want to die. Veganuary provides you with such an abundance of help, support, recipes, tips and resources when you sign up to take part that you will be guided every step of the way to make trying veganism as easy as possible. With so many vegan food items and products readily available now and so many being brought out all the time and by major brands and retailers, going vegan has never been so easy. 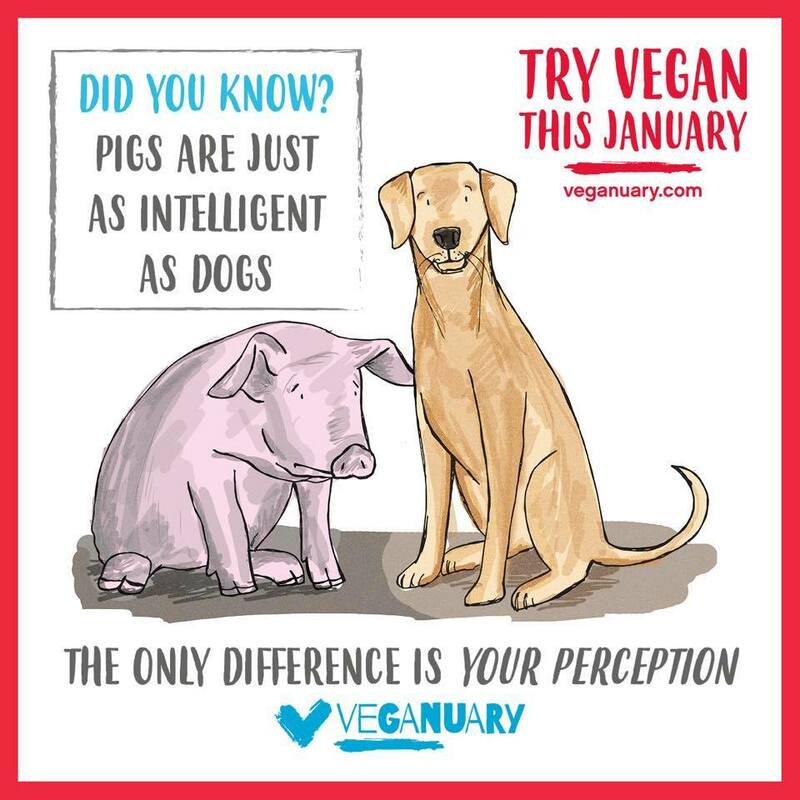 Obviously www.veganuary.com for more information, resources and to sign up. Forks Over Knives - More of a scientific and research based perspective. So, if you’ve made it this far that you’ll consider researching veganism a bit more and even give the 31 day challenge a go. After all, it’s only for a month and if you try it and don’t like it, that’s fine, maybe it’s not for you right now. If you try it and enjoy it or feel better for it, then hey, that’s a wonderful thing! You can decide to carry it on! We’re officially in October now which can mean only one thing. Halloween is coming! I don’t know about you but I love Halloween. Wednesday Addams is my pretty much my spirit animal. I love spooky, dark things, getting dressed up and throwing spooky themed parties. You also know how much I love indie businesses too. I started my own one for goodness sake! So it will come as no surprise to you that I love to champion and show off other people’s indie businesses too. Well, that’s exactly what I’ve done in this blog post. Kick back, relax, peruse through this list of Halloween inspired products from UK indie businesses and be ready to get your spook on. 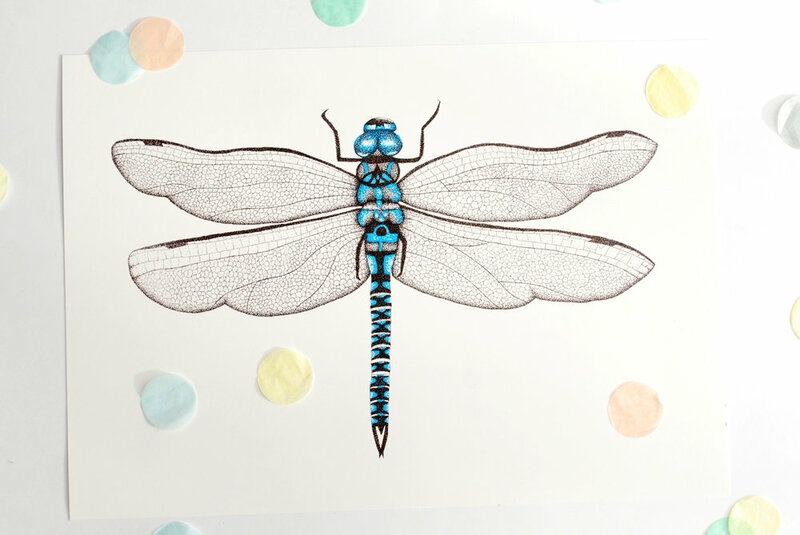 This super cute print is available in A5 and A4 from Emily at Print Perfect UK. I just love pumpkins and this gorgeous watercolour effect print is perfect for adding a piece of Autumn to your home. 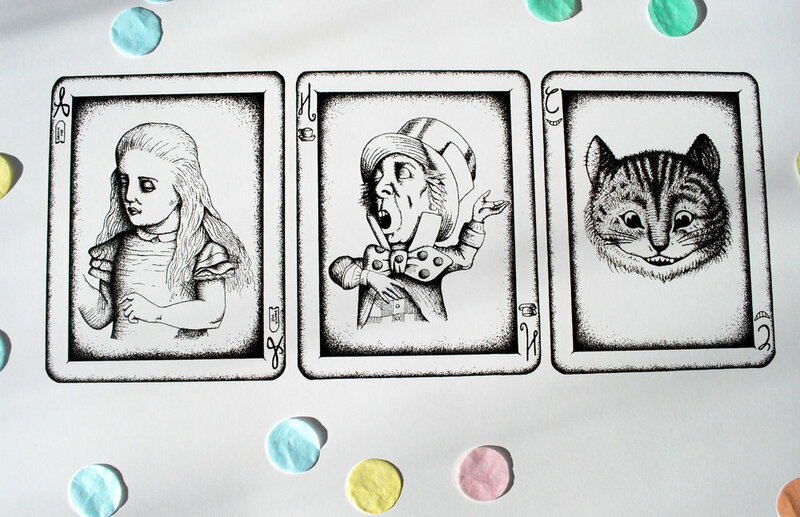 Hocus Pocus is such a classic Halloween film and this beautiful print encapsulates all of that. Based on Lisa’s original pen and ink illustration, this A4 print is perfect for adding a splash of spookiness to your Autumnal decor. 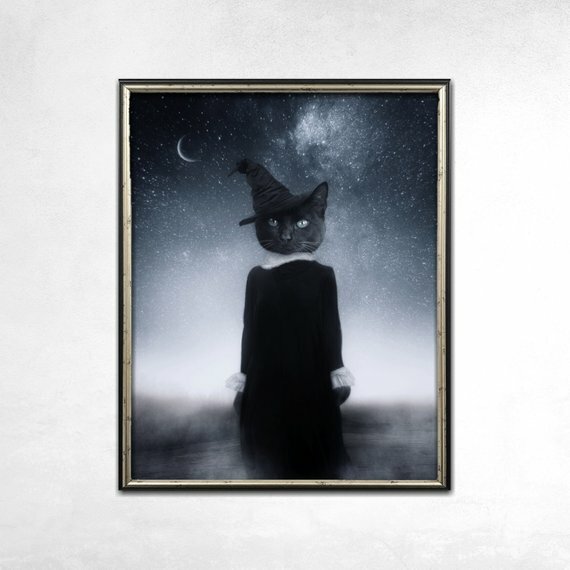 This stunning art print conjures up all feelings of the supernatural and everything thats great about Halloween. I highly recommend checking out all of Aimee’s prints, I fell in love with pretty much all of them after coming across this print. If you like the weird and the wonderful, go check a girl out. I saw these on Etsy and you all know how much I love The Nightmare Before Christmas! I just thought that this cute little set of 4 hand-painted glasses with different Jack expressions would be perfect for a spooky dinner party. I thought this hand painted teapot was absolutely adorable! It’s perfect for younger children or for spooky dinner party or Halloween party. There is a choice of two sizes for the teapots (450ml and 1.1L capacities) and each one is hand drawn. I just love how unique this T-shirt design is! This striking pumpkin space design is right up my street. All their T-shirts are printed on organic cotton and unisex. If you love statement jewellery pieces and odd things, you are going to love this shop! Full of pieces perfect for the Halloween season. This statement necklace has retro doll eyes, complete with lashes. This style design is available as brooches, earrings and more. This is the first of many enamel pins on this list! Eyeballs are inherently spooky anyway, plus these ones from Rock Cakes are bright green and pink which are perfect Halloween colours, but perfect for those of you that don’t like just black. Hands up if you love bats! I find bats to be so cute and these earrings are even cuter! The bats are hanging upside down in hanging silver plated earrings. The bats have lovely detail that are perfect for a cute pop of Halloween this season. I may have a thing for bats, it would seem from the last two finds! I just love how sweet and detailed this enamel pin is. It makes for a perfect pop of spooky just in time for Halloween. The pin comes in soft enamel and with a choice of three metal finishes. As well as bats, it seems this post may have a lot of black cats too! How gorgeous is this black cat in a Witch’s hat pin from Glitter Punk Jewellery?! This is a 40mm gold hard enamel pin with beautiful purple shaded flowers. Any Frida fans in the house? I love how Cat from Corazon Pom Pom has made the classic Frida look Day of the Dead inspired with this Mexican Sugar Skull design. Plus she’s even got little hanging earrings! How cool is that! I own several of Hello Sunshine products and this gorgeous glittery cat brooch is on my lust list. So I can shout from the rooftops about the quality of the goods from this lovely lady. To me, there’s nothing that screams Halloween to me more than pumpkins and black cats, plus this one is sparkly! How gorgeous and unique is this brooch from Birch Please?! I love anatomy and science, so this beautiful cat X-ray brooch is perfect. You’ll be sure to get compliments on this whenever you wear it. Eyeballs! Collar clips! That’s a win win in my opinion. Made from Ellie’s original drawings, these collar clips have lapel pin backs and are attached by a 14cm gunmetal chain. Perfect from adding to your Halloween outfits or adding some spook to your everyday outfits. 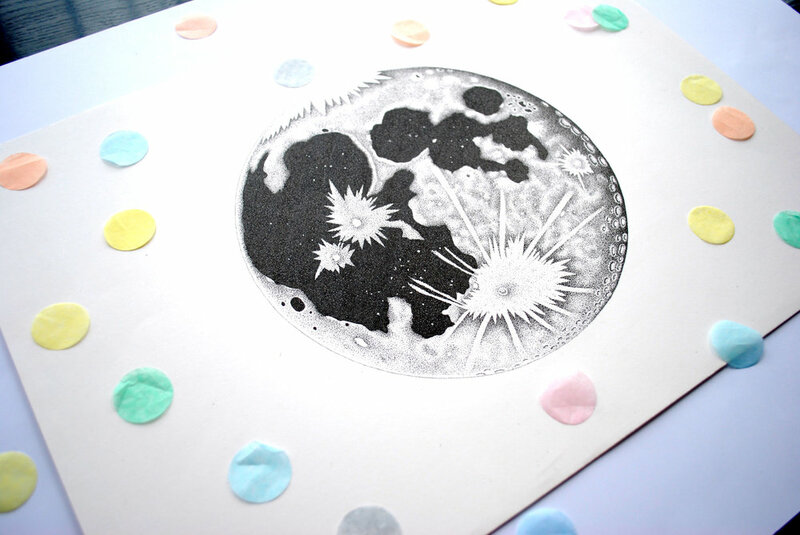 How could I do a Halloween Indie business spotlight and not mention one of my own prints?! 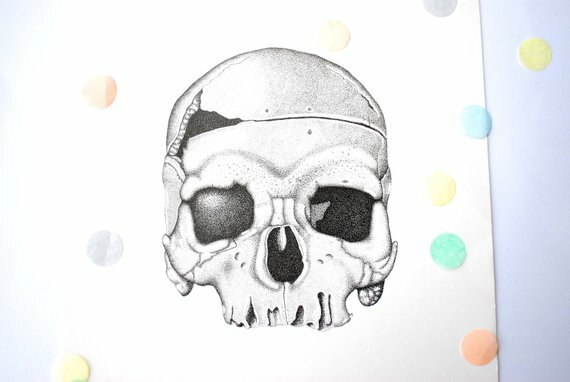 One of my favourite anatomy prints is the Skull. It was the first design I ever did when thinking about designs for my shop and it holds a special place in my black heart. How cute are these Halloween stickers from Rachel at Peach Panda Studio? The vinyl sticker packs contain 21 spooky stickers featuring her own illustrations. These would be perfect for your planners, BuJos, laptop, phone cases or whatever you need to make spooky! The lovely fellow Elle from Nutmeg and Arlo has so many gorgeous spooky themed pins that it was so hard to choose. I just loved how cute this little flower ghost was, I mean look at its little face! This cute card combines my two favourite things: dogs and Halloween! This lovely design features real buttons which can be customised with certain colours and there are five dog designs to choose from! How cute are Laura’s stickers? They are based on her original gouache paintings of the wonders of Autumn. You get five lovely stickers in the pack too. My favourite is the pumpkin. Halloween and puns? YES PLEASE! Kate at Hey Hey Ginger has suggested that these adorable stickers are perfect for decorating your pumpkin with this year instead of carving it! Why not give them a go? 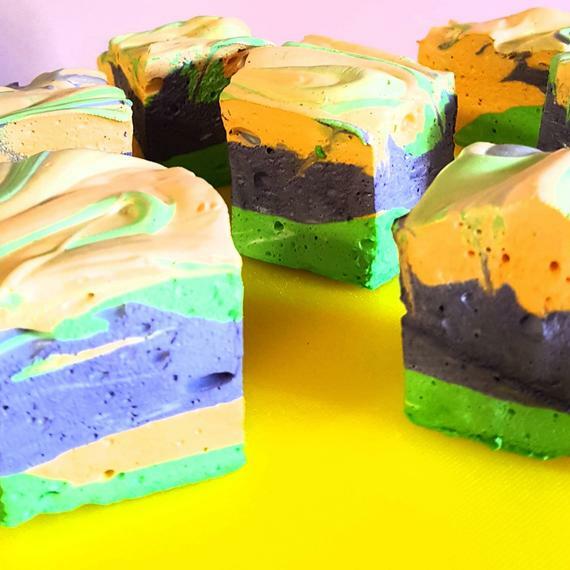 Whilst I have to wait for The Whimsical Kitchen to finish developing the perfect Vegan marshmallows, she does wonderful non-vegan Halloween edition marshmallow kits. What us Vegans can have though, is her deliciously sounding Vegan Chocolate Orange Fudge. Yum, Yum, Yum! How about this for a statement necklace piece! This stunning laser cut acrylic Bite Me necklace screams all the Halloween vibes but you can definitely wear it all year long. 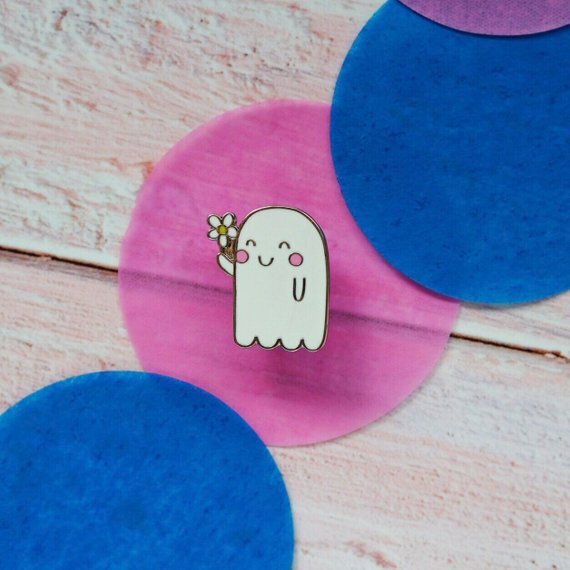 I love watching Catherine’s vlogs over on her Youtube channel and in one of her recent ones, she showed you how she designed and made these gorgeous ghost stickers which are available in a set! Perfect for sticking on your laptop, in your bullet journal or on your phone case. Sticking with the ghost theme, this hand stitched ghost jumper is perfect for everyday spookiness. 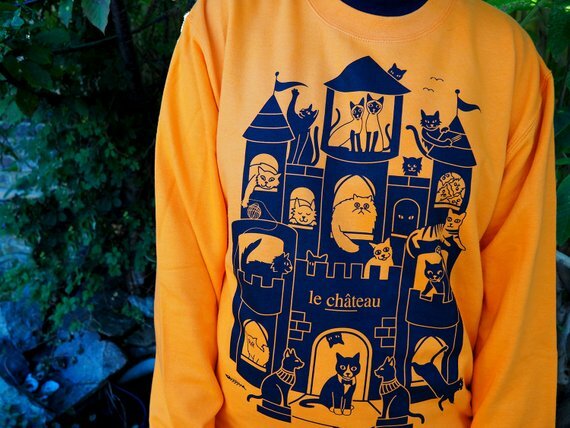 Plus this jumper is unisex so it’s perfect for slouchy, autumn days. Pumpkins, Pumpkins. I love pumpkins. This hand produced sparkly coin purse by PupTart is beautiful and perfect for stashing cash and an extra supply of sweeties. Let’s not forget about our furry doggo pals on Halloween! If you don’t want to dress your dog in a full costume, adding a cute little spooky bow tie is the perfect touch! This is perfect for any parents with young children. If I had a child, I would put her in it every day. I most definitely would have a goth baby!! With a screen printed white spider, this dress couldn’t get any more perfect for your little ones. Oh wait. It has POCKETS! 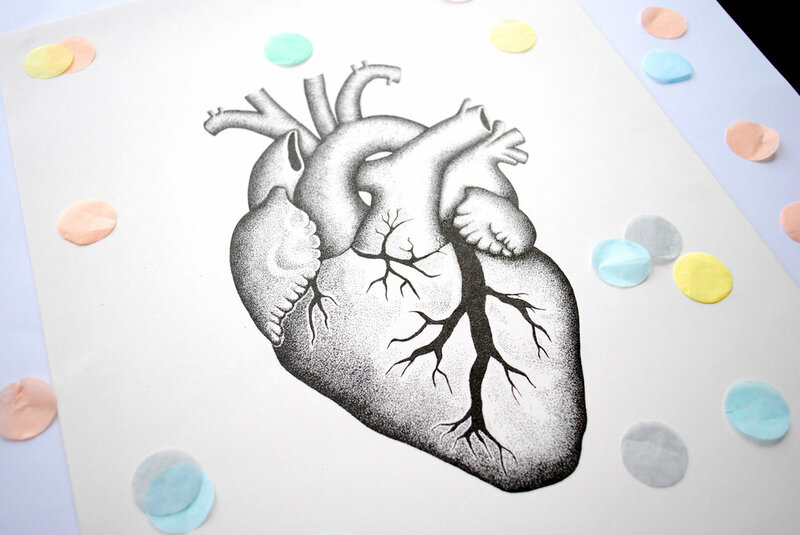 If you know me, you’ll know that I love anatomy and Pathology - I sell anatomy prints for goodness sake! So you’ll know how much I adore these beautiful ceramics with her hand illustrated designs on. This skeleton skull cup and saucer would be a conversation starter at any Halloween party. I’d have it on display all year round. Perfect for sipping on your brew of preference, with the added bonus of being able to personalise the mug with any name! The mug is dishwasher and microwave safe and is based on Nikki’s watercolour paintings. Well there you have it! 31 spooktacular Etsy finds that will be perfect for upping your Halloween game as well as supporting independent businesses and artists. Get ready for an influx of pumpkins, burnt orange and hot chocolates, because they’re coming! In honour of my favourite season and my love of writing lists, I have composed a list of my favourite Autumnal things to do to make sure you make the most of the best time of year! 1. Pick Your Own Pumpkin - Nothing says Autumn to me like going to a pumpkin patch, looking for the biggest one you can possibly find and then trying to carry it all the way back to pay for it. 2. Make Pumpkin Pie - I made my first ever Pumpkin Pie a couple of years ago and I loved it. It’s definitely on the list again this year. 3. Crisp Sunrise Walks - This is something I would love to do this year and take some lovely photos around town. Make sure to wrap up warm though! 4. Wear Cosy Jumpers - I don’t know about you but I would much rather be cold than too hot. At least if you’re cold you can wrap up warm and cosy. It makes sense then that 90% of my wardrobe is thick, cosy, soft jumpers. 5. Hot Chocolates - I haven’t had a vegan hot chocolate yet but I’m planning on warming some Oat Milk in a pan and whisking in a big scoop of the new Vego Chocolate spread. Mmmm. 6. Halloween Parties - Halloween is my absolute favourite holiday! I’m a dark soul at heart and being able to be surrounded by creepy/ spooky things and adding some to the home decor makes me very happy. 7. Watch Halloween Films - I’m not a fan of scary movies but if you are, now is the perfect time to watch them! My all time favourite Halloween film is The Nightmare Before Christmas. Plus it doubles up as a Christmas film! 8. Have A Bonfire - If you can’t have one in your garden, there are normally places around town that organise community bonfires for Bonfire/Guy Fawkes Night. This is primarily a UK tradition on the 5th November to commemorate a failed assassination plot on King James I by Guy Fawkes and others. The plot was foiled and to celebrate that the King survived, people lit bonfires around London - hence the tradition. Nothing beats sitting round the warmth of the fire in coats and scarves. 9. Roast Some Vegan Marshmallows - This year I want to roast Vegan marshmallows on the bonfire! Sandwich them in between some Digestive biscuits and you’re on to a winner. 10. Watch The Fireworks - If you don’t want to get hold of your own fireworks, there are normally loads of firework displays held around town so even if you don’t want to leave your house, you can probably see some from your window. There’s something about sparklers and a crowd of people snuggled together in big coats watching the lights that is magical. 11. Mulled Wine or Mulled Cider - I tried mulled wine a year ago and it’s growing on me. It’s a classic Autumn/Winter beverage and the sweet cinnamon spices make it a great warming drink. 12. Stew and Dumplings - This is a classic Autumn/Winter dish for many in the UK. I’m looking forward to making my first Vegan stew this Autumn. Big, hearty dishes are my absolute fave in cold weather. 13. Ghost Walks - I’m yet to do one of these but as the darker evenings draw in they look to be a great Autumn activity, especially around Halloween. 14. Carve A Pumpkin - I absolutely love carving pumpkins so I try and do it every year. I have plans to paint some pumpkins as well this year so i’m looking forward to that. Carving can be messy but good fun is normally a bit messy! 15. Toffee Apples - Apples coated in toffee is a perfect Bonfire treat or on a Halloween party table. 16. Lighting Festive Candles - I am a huge lover of candles and apple cinnamon smells are the best so being able to light festive smelling candles are a great part of Autumn/Winter. Plus they make any space super cosy. 17. Putting Fairy Lights Everywhere - I personally like to fill my house with as many fairy lights as possible. I like my kitchen to channel Nigella vibes as I dream of baking at night by the light of loads of fairy lights. There’s just something so magical about loads of twinkly lights. 18. Eating Cinnamon Swirls - I just recently made some Cinnamon Swirls and I had to wonder why I hadn’t made them sooner. They were super easy, delicious and incredibly festive. Cinnamon is just the best festive smell. 19. Making Apple Crumble/ Apple Pie - Warm sweet fruit desserts are always a winner for me and again there is that cinnamon! I love baking at this time of year, there’s just something so cosy about it. 20. Apple Bobbing - A typical Halloween/Bonfire activity. No party is complete without it! 21. Make Your Christmas Cake - I used to make Christmas cakes for the family before I was Vegan and I would normally start them in late August/early September in order to be able to feed them long enough with Brandy. They were always a hit, so I’m excited to be able to do a Vegan one this year. Christmas cake is the epitome of festive smells. 22. Take Long, Warm Baths - Baths are my favourite at this time of the year, although taking your clothes off to get in the bath is the worst bit when it’s super cold, the warmth of a long soak is worth it. Especially if you get some candles going on and a glass of wine. Perfect. So, there are 22 of my favourite things to do in Autumn. I hope you like them, I’m slowly working my way through the list! Nothing says Autumn to me, quite like being cosy, lots of baking and Halloween.